Rotterdam Ahoy and DreamHack are happy to announce the signing of a long-term partnership, bringing the world’s largest digital festival to Rotterdam, Netherlands. 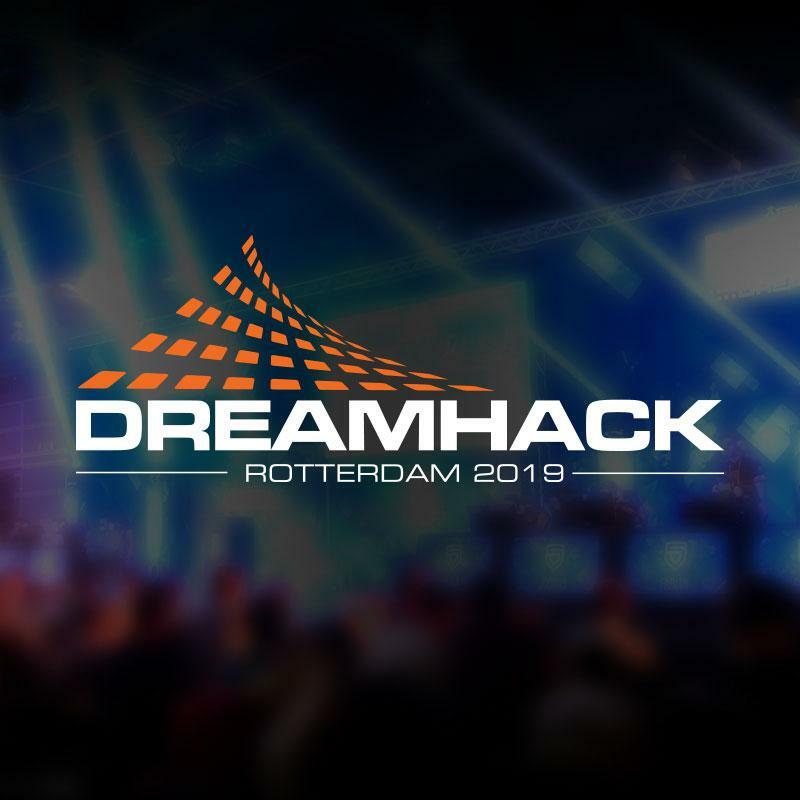 DreamHack Rotterdam will be a part of the Rotterdam Ahoy run esports and gaming event Rotterdam Games Week, that will take place in October 2019. DreamHack Rotterdam, taking place from 18 to 20 October 2019, is at the heart of Rotterdam Games Week and will feature a DreamHack Open championship in the game Counter-Strike: Global Offensive with a prize pool of one hundred thousand dollars, a gaming expo with a lot of interaction, cosplay competitions, panel meetings and a 'bring your own device’ LAN party. In addition to the Rotterdam Games Week, pre-events will be organised where, for example, fans can jointly watch finals of esports tournaments. In cooperation with the city of Rotterdam and other stakeholders, Rotterdam Ahoy is working on further components for the Rotterdam Games Week. Rotterdam Ahoy has previous experience from the esports scene as it, back in 2016, hosted a sold-out European final of League of Legends. It was the starting signal for an own event in the field of esports and gaming, for which the foundation has now been laid with the cooperation with DreamHack. Rotterdam Ahoy is one of the most well-known and most versatile event locations in the Netherlands and has a unique combination of an indoor arena, six exhibition and event halls and a congress center. Rotterdam Ahoy also organises business and public events, such as the Wooning Zesdaagse of Rotterdam, the ABN ARMO World Tennis Tournament and Europort. Rotterdam Ahoy will be expanded in the near future with an international convention centre and concert hall - realised by the end of 2020. With 35 rooms, including an auditorium with 2,750 seats, the convention centre will be the largest in the Netherlands. The auditorium can easily be transformed into a concert hall for 7,000 people. DreamHack is all about entertainment for the digital generation. Founded in 1994 as a BYOC LAN party, DreamHack grew over 20 years to a global phenomenon as the digital festival for today’s youth, hosted throughout Europe and North America. DreamHack festivals feature multiple esports competitions, live music, exhibitions, creative competitions, LAN party, cosplay and much more. DreamHack helped pioneer esports, and continues to be one of the largest global producers of esports content. DreamHack esports broadcasts reached over 375 million views and DreamHack events welcomed over 250,000 visitors in 2017.